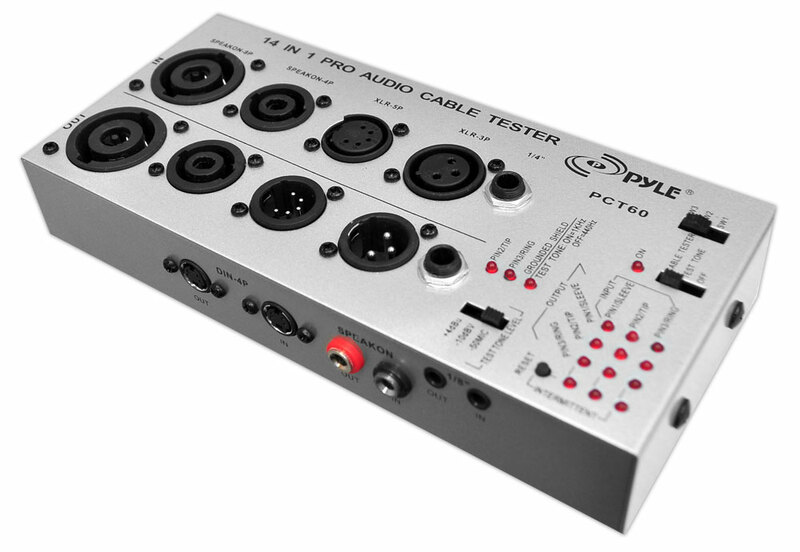 The PCT60 is an incredibly versatile 13-in-1 cable tester that quickly delivers accurate continuity information about many different kinds of cables. LEDs on the unit confirm each conductor's continuity and connection. 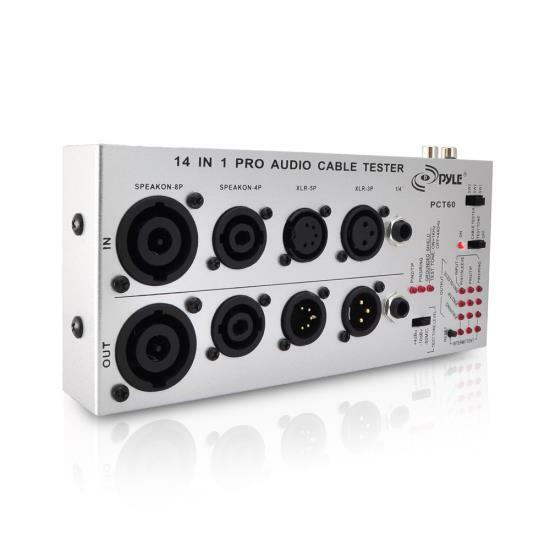 Also includes ground connection status check so you know the tester is accurate. 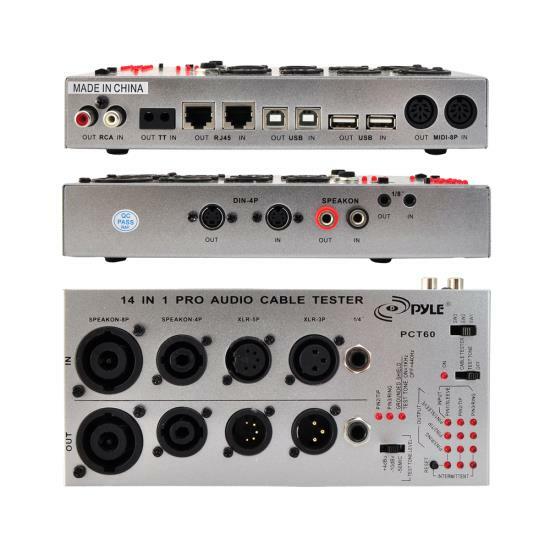 Tests 1/4' (TRS), 1/8' (3.5mm), XLR (3-pin and 5-pin), Speakon (4-pin and 8-pin), RCA, TT, Bantam, RJ45, USB-A, USB-B, DIN (3-pin, 4-pin, 5-pin, 7-pin, or 8-pin). 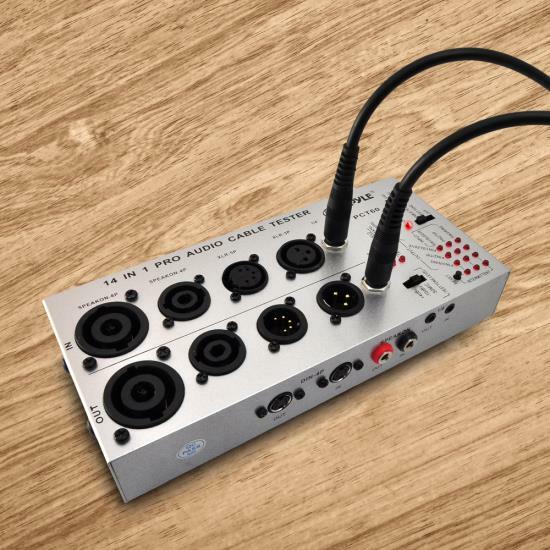 Rugged and Durable Design - Built in a strong, compact metal casing, the PCT60 is made to last, and is a great long-term solution to help keep your audio set-up running smoothly. 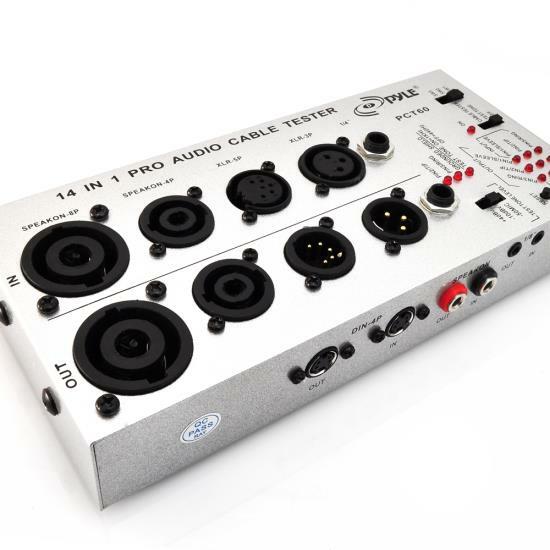 Supports All the Most Used Cable Types - ith support for nearly every cable type in the sound recording industry, the PCT60 is your go-to for making sure your next performance goes off without a hitch. Or, you can do a little house cleaning and throw out or fix any cable that's no longer working.